Enjoy hometown, small business marketing advice, training, and interviews with Elian. In today's episode Elian is talking all about Instagram and how to use it with your business. 1. Learn her client process and who she works with. In today's episode Elian interviews Paige Bowser of Breezy Quarters, a cute personal care shop in Abbeville, SC. Tune in to learn the secrets of her hometown marketing success. In today's episode Elian talks about how to help your business survive when things are stressing you out. Tune in to learn these secrets. In today's episode Elian Leslie Schweitzer of 313 CAFÉ in Seneca, SC. Recorded May 9, 2018. Tune in to learn the secrets of this hometown marketing success. Listen in as we learn about her amazing shop. In today's episode Elian talks about building your business by hosting events. Tune in to learn the secrets of this hometown marketing success. In today's episode Elian talks with Adam Kelley, owner of Leopard Forest Coffee Company located in Travelers Rest (TR), SC. Tune in to learn the secrets of this hometown marketing success. 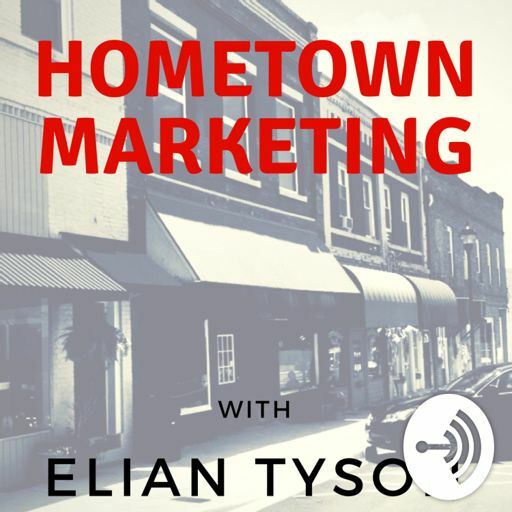 Welcome to the first episode of the Hometown Marketing Podcast with Elian Tyson! This podcast is aimed at small business owners in towns of 15,000 people or less.